A new approach to conveying abstract algebra, the area that studies algebraic structures, such as groups, rings, fields, modules, vector spaces, and algebras, that is essential to various scientific disciplines such as particle physics and cryptology. 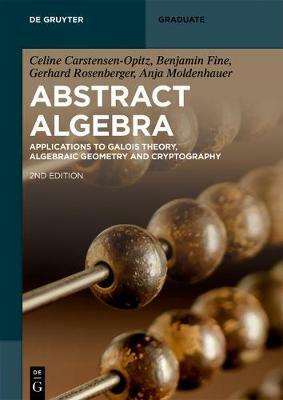 It provides a well written account of the theoretical foundations and it also includes a chapter on cryptography. End of chapter problems help readers with accessing the subjects. Edition Statement 2nd Rev. and Ext. ed. Celine ﻿Carstensen-Opitz, Technical University of Dortmund, Germany; Benjamin Fine, Fairfield University, Connecticut, USA; Gerhard Rosenberger, University of Hamburg, Germany; Anja Moldenhauer, University of Hamburg, Germany.